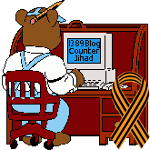 Dyscalculia – and how to cope with it — 1389 Blog - Counterjihad! An expert on on cognitive neuropsychology speaks to us about his research on the seldom-discussed “dyslexia for numbers”. Professor Brian Butterworth is based at University College London. Dyscalculia is a learning disability involving mathematics and numbers.